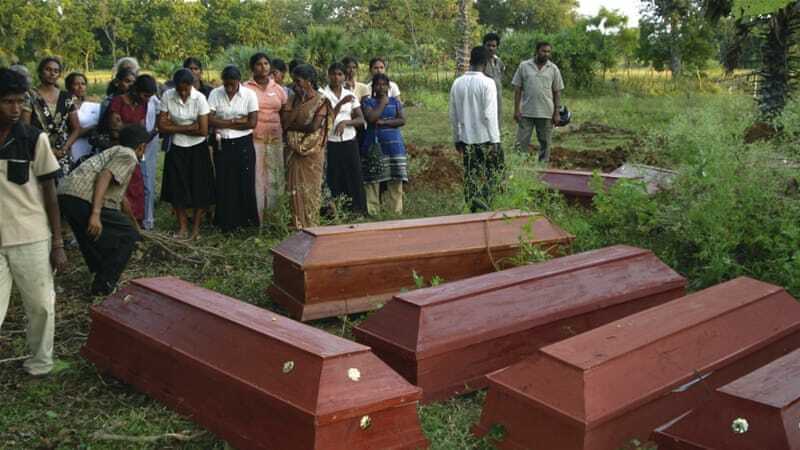 UN rights chief suggests Colombo’s persistent failure to investigate atrocities stems from fear of punishing soldiers. The United Nations has condemned Sri Lanka’s government for failing to investigate civil war-era atrocities, suggesting the government was afraid of punishing soldiers who committed abuses during the conflict. Government troops were accused of deliberately shelling civilians, hospitals, and blocking food and medical aid to hundreds of thousands of people boxed inside a tiny strip of land as the now-defeated Tamil Tigerrebels mounted their last stand. “The consistent failure to effectively investigate, prosecute and punish serious crimes appears to reflect a broader reluctance or fear to take action against members of the security forces,” Zeid Ra’ad al-Hussein, the UN High Commissioner for Human Rights, told the UN rights council on Wednesday. But earlier this month, Sri Lankan President Maithripala Sirisena rejected the appeal, saying he would not “allow non-governmental organisations to dictate how to run my government”, nor heed calls to “to prosecute my troops”. And although Sirisena’s government agreed to the terms of an October 2015 UN resolution calling for an inquiry to be formed within 18 months, Sri Lanka has so far failed to begin an inquiry. Zeid said any justice mechanism set up by Colombo would need foreign judges in order to be “credible”. But Sri Lanka’s main opposition Tamil party has accused Sirisena of failing to deliver on accountability.